It's always this time of year when my skin starts to suffer from the cold and the heating. Try patches are a nightmare and cause my foundation to wrinkle. No moisturiser seems to give enough depth to clear it up and I'm stuck with it until the weather warms up a bit. Well not any more. What we need is a little luxury. Beautiful beauty site 'Beauty Works West' travels the world to find great products that combine science with proven techniques. They stock some gorgeous brands that work! 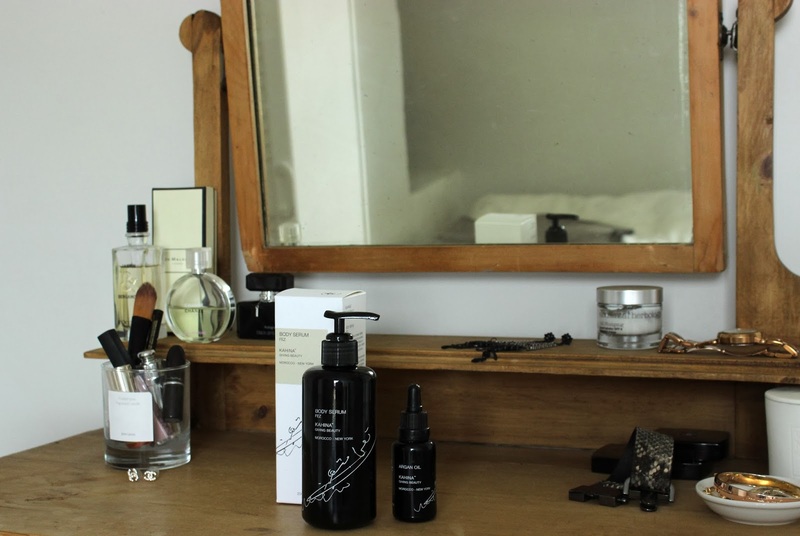 Kahina is a brand from Morocco that uses the purest Argan nut oil which is proven to prevent ageing and is full of fatty acids and anti-oxidants. 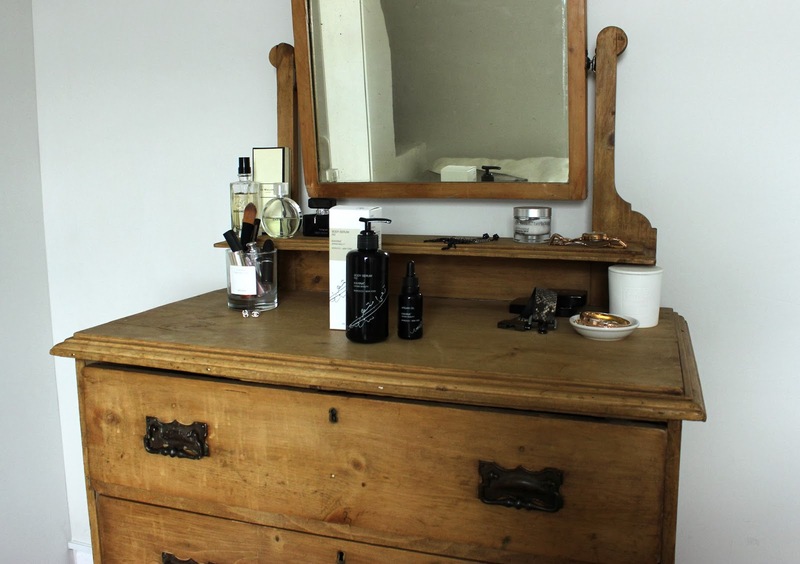 The pure Kahina Argan Oil has many uses but for me it is ideal for moisturising. Just a few drops rubbed into your face morning and night get rid of any dryness. It soaks in leaving skin super soft and dewy. This product can also be used on hair (great for spit ends) and on hands and nails. It really is the perfect emergency product for any beauty worry. It's not cheap, but will last a long time and only a few drops are needed. I highly recommend. 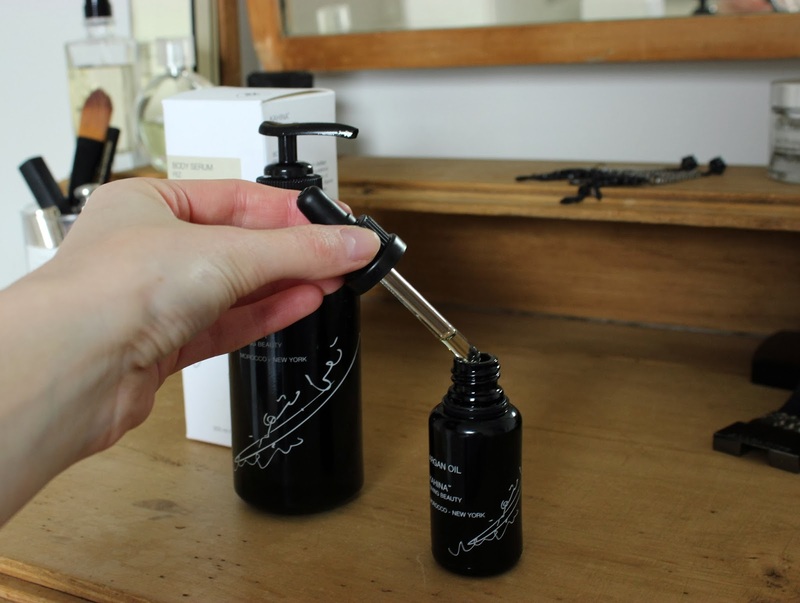 For all over perfectly moisturised skin try Kahina's Body Serum which works like a body oil. Again containing Argan Oil it gives all over softness which is ideal for this time of year. The serum is best used straight out of the shower to ensure it soaks in well. This product also has a wonderful scent of pachouli, cloves and ylang ylang. 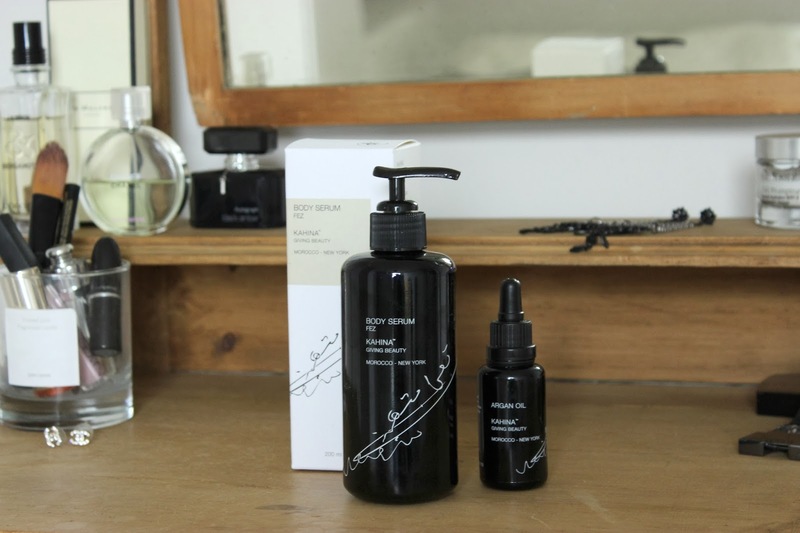 This collection by Kahina has seriously improved my mood and my skin! Give it a go.